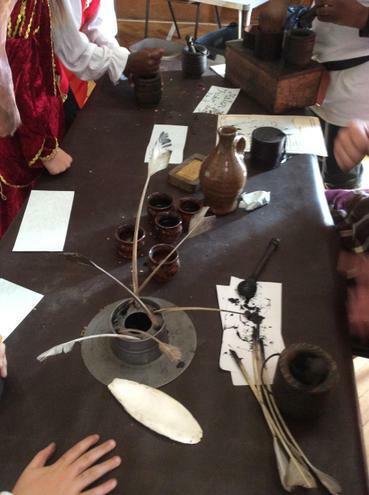 The children in Year 4 enjoyed an activity packed Tudor Day today. 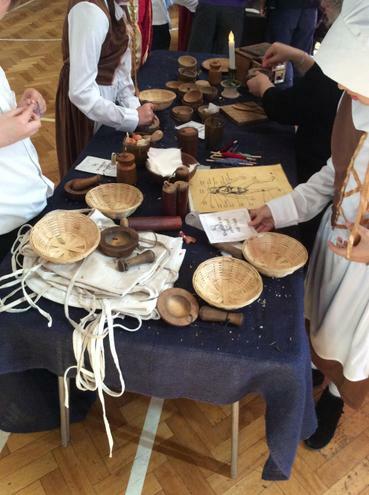 To add to the experience the children all arrived at school dressed in Tudor costume - they all looked fantastic! 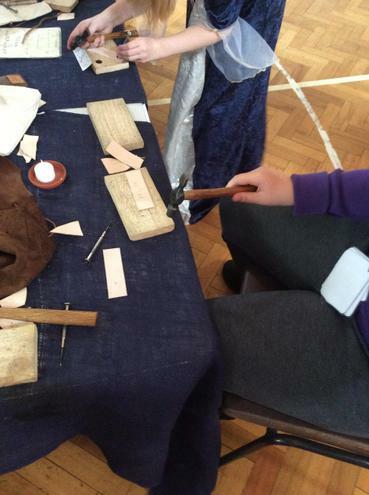 During the morning session each child took part in a carousel of activities, including making herbal pouches, the embroidery of handkerchiefs and a visit to the local doctor - which, as you can imagine, wasn't very pleasant! 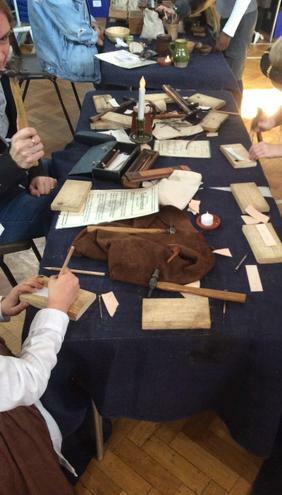 They also made candles, leather book marks and pendants. 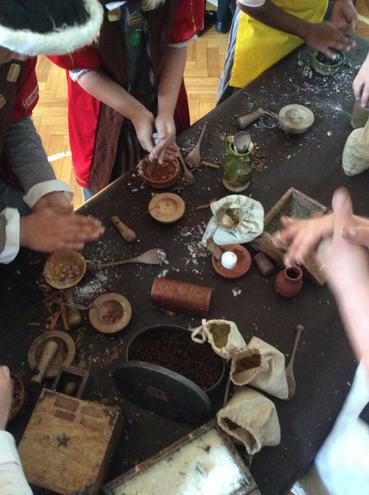 The afternoon was spent enjoying a Tudor Banquet. 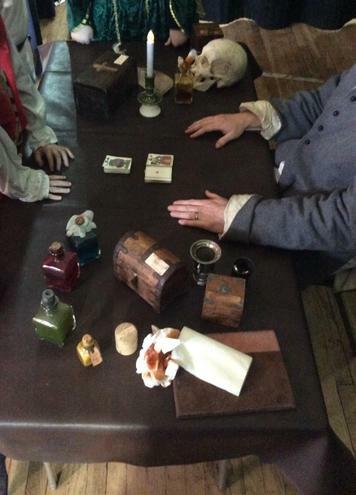 Those lucky enough to be on the high table and guest tables enjoyed entertainment, provided by their class mates, such as dancing, acting, singing and juggling, whilst being served food and drink! 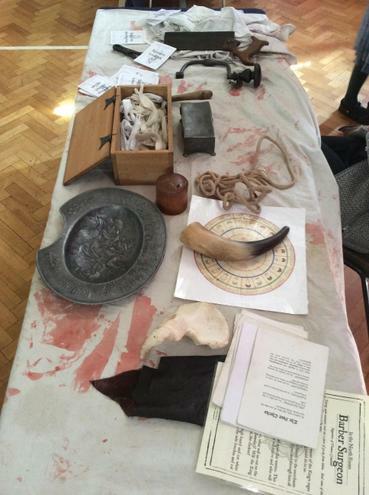 The children and staff had a fantastic day! 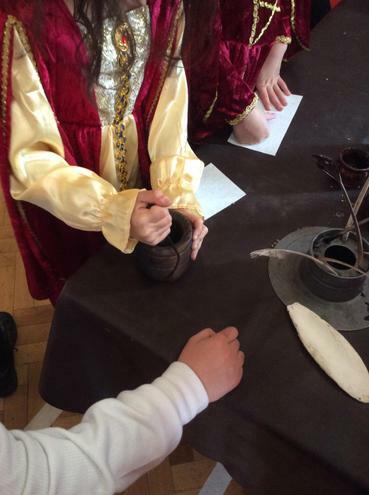 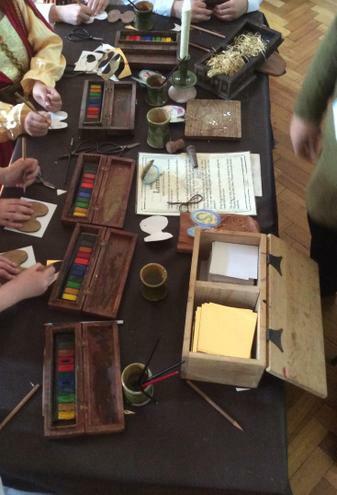 Thank you to History Off the Page for bringing The Tudors to life!